What is a Flood Sensor? Flood Sensors attach to your environment monitors and provide alerts when water ingresses your facility. The sensors come in two basic forms, spot sensors and rope sensors. The spot sensors detect water in one location. Spot sensors are generally used in combination with a drip tray. Spot sensors are perfect for detecting leaks from your air conditioning unit. 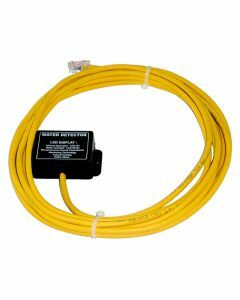 Rope flood sensors have a long length of water sensitive material. 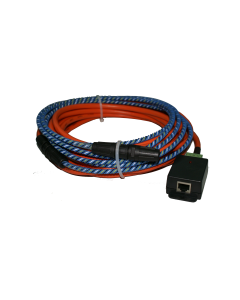 Rope sensors are typically used where you need to detect water ingress over a large area, like under a raised floor in your server room for instance. If you need help choosing an appropriate flood sensor for your environment monitor, we are happy to create a free detailed system specification and quote tailored to your exact requirements.